Do you know that YouTube is the great marketing tool for Tourism? How to make your Tourism brand to acquire the global acquisition through YouTube? Is YouTube channel is most worthy to reach real-time consumers? What extent YouTube best fit for the Tourism Marketing Strategy? The presence of plenty of Tourism organizations and raise of expectations of Tourists are pushing the Tourism organizations to pull the most advanced marketing strategy. In that circumstance, the Tourism Agencies are migrating towards the use of online video communities like YouTube. Now YouTube is the sales pulling tool for the Tourism organizations by attracting the millions of tourist audiences to become the tourists. 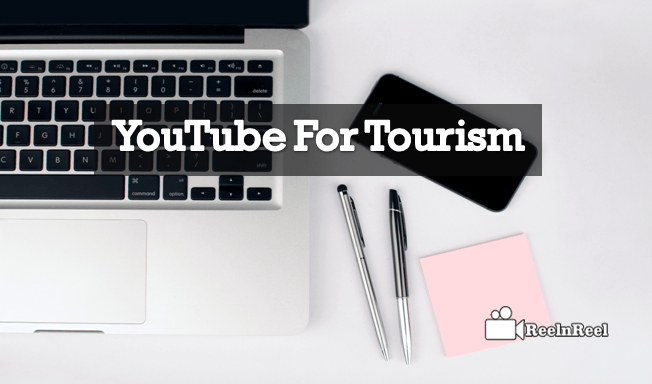 YouTube is the weapon to generate benefits for both the Tourists and Tourism organizations that build the strong relationship between them. The decision process of tourists to become the potential consumers is the main target for the Tourism organizations. The pressure of reaching the consumers becomes more and more to explore their brand. The needs and the expectations of the consumers in the tourism products or tours are soaring heights. As the YouTube has the millions of audiences the tourism business on YouTube can be most engaged with them. The Tourism Marketing can be enhanced with the help of YouTube that drives the attention of the consumers towards the tourism brand. Most of the tourists who are about to make their trip before that they are approaching the YouTube to find everything about the place they are going to visit that tends to pre-plan of the tour. When the tourists are in the thought of making the next trip, then they are visiting the YouTube to find everything they need over there. Before booking the ticket for a particular trip, they are keeping an eye on the YouTube videos of the already made trip visitors. Hence the tour organizations can make use of launching the most engaging videos by featuring the real customers. One video is equal to word of mouth from the million influencers. The video is much effective in elaborating the brands with no bounces in their journey. To make the visitors of the particular Tourism YouTube channel into potential customers then the strategy of YouTube optimization most significant one. The video optimization that includes the video filename, video title, keywords, video descriptions, and thumbnail are most essential things to make YouTube tourism videos to go viral on YouTube and also as to obtain the better search engine results. The more about your Tourism brand can be disclosed through the creation of the playlists on YouTube. The audiences who are willing to make the trip might participate in visiting the channel. The creation of playlists let them find everything about what they need at a single destination. The tourism organizations can create the playlists of gathering the regional tourist places and also by letting the already visited tourists to share their word in the video. The specification of ‘About’ section will specify what your tourism channel is about. The unique facilities that are offered to the customers while comparing to the competitors can be obtained. Updating the ‘links’ of the other videos that are given at some other videos will let the audiences to go through other relevant content on your channel. Upload an excellent feature video that acts as the brand icon of your Tourism YouTube Channel Home Page. It is the most commonly used word, but it shows a great impact on your marketing strategy. It let the audiences to do an activity of visiting the main website of your Tourism organization where the products are features. Then there might be a chance of driving sales. Generate the video content that influences the audiences to watch the full video from start to end. Such type tactic will push the visitors to subscribe to your Tourism YouTube Channel. The action of direct viewers who are watching the video content will help to engage the channel with huge audiences. The programmatic activities of feeding the subscribers with intend video content and frequent uploading of videos into the channel can boost up the subscriber base for your channel. The viewing experience through the creation of playlists will participate in getting the subscribers. YouTube live is the most significant one to raise the subscribers for your channel. Just live stream the Tourism events by featuring the unique visiting places that make the audiences to become your subscribers in getting the new updates from your channel. Also, the fans might raise the queries regarding the trip that includes the facilities and expenses. Make sure to interact with the audiences that let you create the community around your video content on YouTube. The cross-promotion of the YouTube video content on other channels with the collaboration of other trending creators helps to get huge video shares along with the views. Along with the YouTube make your presence on all other social media platforms like Facebook, Google+, Pinterest, LinkedIn, and Instagram, etc. That helps to drive the huge audiences to your YouTube channel. Make use of other relevant websites, online communities, and blogs to share your video content. By using the YouTube AdWords launch promotional videos paying the bucks for the promotion of the video. YouTube is playing a key role in 60+ countries across 60+ languages which helps to broaden your Tourism brand globally. YouTube has more than billions of unique users to watch the video content that can be the most advantageous to find the new customers from the audience. Tourists will prefer to watch the relevant video content on YouTube before they are making a trip booking. 80% of the visitors are from outside the U.S. Hence; it helps to enhance the international tourism. The in-stream True View video ads are being launched by the thousands of advertisers and 3/4th of them are skippable video ads. The videos of the tourism on other social media sites like Facebook and Twitter etc. are shared at a low percentage. Moreover, the large number of competitors is uploading millions of travel videos and hence it is tough to make the great visual content. Create various types of content and shoot different videos to explore your YouTube Channel. Explore Your Content from different countries shares the extreme nature Globally. Shoot variety videos by exploring the Culture, Food, and activities from different parts of the country. Invest more money in creating amazing videos for your Tourism. Creating best videos is one part and optimizing those videos for search engine visibility is the next most significant thing. So invest more money on Video Management and video optimization for YouTube. Engage with your audience by communication through comments. Give quick replies to solve their queries regarding the Travel Guide. Stay connected with the YouTube audience for better communication. Slowly convert your YouTube Audience to make conversions. Use best strategies to for getting more sales and conversions. Tourism marketers use YouTube as the best tool to increase their ROI. Travel videos are going viral on YouTube. Because the second most extensive YouTube videos come from the travel videos. Travelers like to share their fun movements, nature photos with families and friends. Travel video content generated viral Brand Buzz and also produced more than 500,000+ views on YouTube. We can see that 76% of the Airlines companies got views for their campaigns. Among all industries, advertisers are increasingly embracing the online video content. For Travel companies, the Online video is the dominant way to import the intensity of destination products. Here we are compiling few key findings to be Followed by the Travel channels. Utilize the YouTube as the primary source for travel channels to inspire the audience. Spend a lot of time exploring the ever watching YouTube videos. View the content from all travel categories that may help to create buzz videos. Research the other categories other than only travel videos to get better ideas. The age groups between 18-24 subscribers content focused on inspiring the future travel blogs. The age groups between 25-65 subscribers content help to plan the current travel videos by reviews, travel brands and travel networks. Voyage Channel consists world’s best travel videos. It has a large number of Hotels and Resorts travel guide to choose best the hotel’s when you visit any place in the World. The channel was adequately optimized and has compelling playlist differentiating all areas in the World. Uniquely the channel has a playlist for Adventures and Eco programs for entertaining the audience. World’s favorite Airlines to Explore the World. The primary goal of Turkish Airlines was discovering the new places, new people, and the new cultures. They were awarded many times for their valuable services offered to the Guests. They design beautiful videos to experience the World of Miracles. Queensland is a big Tourism brand, and it has an active YouTube channel Too. The channel has compelling homepage optimization. They have used different sections and playlists to differentiate the places Globally. They are also linked their feature and regional channel to explore their services. Adventure Bay Charters is the best example of Tourism Business, how the Tourism companies are using YouTube as the best Tool for promotion. The channel fully optimized with sections, search keywords, links to their social media sites, playlist with excellent videos. It has fantastic videos features provide a unique experience for the visitors. 43% of the travelers get inspiration to plan their next holiday trip from YouTube. 14.7 million people are spending 19 hours and 20 minutes on YouTube individually. Globally, 1 out of 5 people logged in who visit travel channels every single month. 2 out of 3 U.S travelers plan their next trip by watching YouTube Travel videos. An average of 118% growth for travel related videos for Year over the year on YouTube. 71% of Travel searches on YouTube are for Destination Names. 58% of travel searches on Google are for a specific Brand or a company. 67% of Brands and 33% of community generated travel video content on YouTube. Travel Vlogs receive 4 X times more social engagement through comments and subscriptions than the other type of travel content on YouTube. On YouTube 76% of the Travel related content views from Airline companies. Digital videos have taken the bigger part of the Traveller’s journey. Similarly, it is incredibly essential for advertisers to utilize the Opportunities. An active video strategy helps the Travel channels and Tourism Companies to reach and engage with more Audience.